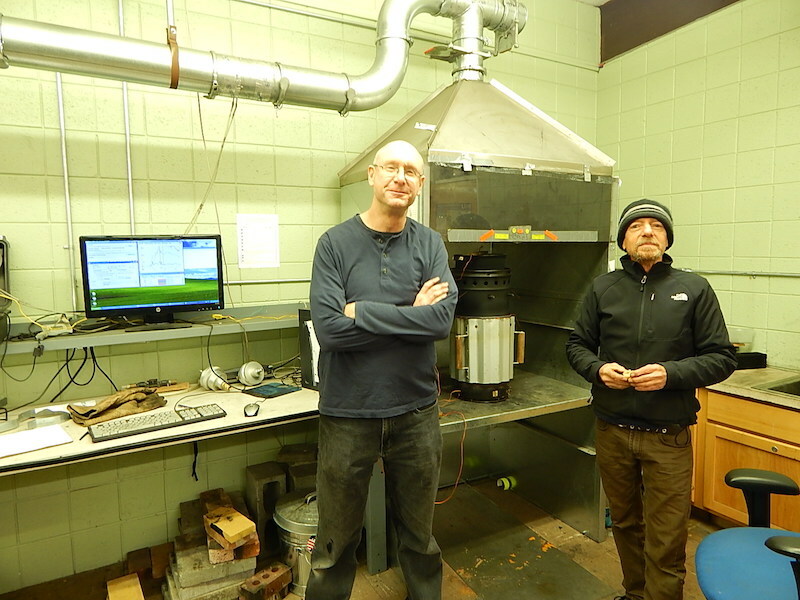 ARC specializes in testing biomass cooking stoves. We test stoves to understand how they function, to compare stoves, and to improve performance. The Water Boiling Test (WBT) and the nine metrics in the ISO/IWA Tiers provide the project manager with a holistic picture of emissions, fuel use, and safety. Will the stove be successful in your region of the world? Will families be happy cooking with the stove? How much will they pay for it? Is the firepower, the height, the turn down ratio what cooks require? The Controlled Cooking Test (CCT) is designed to answer these important questions. Conducting a water boiling test under the LEMS with SeaChar. The test has local cooks preparing the regional foods using their fuel, their pots, and their methods of fire tending, etc. The CCT is performed with the same emissions hood used for the WBT. In this way, very accurate data on fuel use and emissions is obtained (including black carbon). 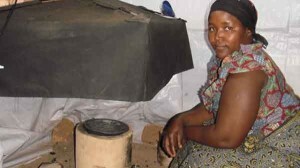 ARC specializes in using both tests to evolve market viable, locally appropriate stoves that meet the ISO emissions standards protecting health. Performing a CCT on a sunken pot mud stove in Rwanda with the PEMS. The most accurate test to determine cookstove performance must take place in the cook’s house. The Kitchen Performance Test (KPT) measures fuel use in the household with minimal observer intervention. The only tool required is a low resolution balance, but the challenge lies in choosing a manageable sample of households that still reflects the wider trend of the population. Often performed in conjunction with the KPT is a measurement of emissions concentrations in the kitchen. ARC’s Indoor Air Pollution Meter measures CO and PM for up to one month and can be hung in the kitchen to measure kitchen concentrations, or it can be worn by the cook to determine personal exposure. Recently made available to share is a study in which ARC measured PM2.5 personal exposure for Trees Water People in the communities surrounding Jinotega in Nicaragua. Personal exposure to PM2.5 was measured in real-time in 24 hr periods using the Hapex Nano (ver. 3, Climate Solutions Consulting) that was gravimetrically calibrated from measurements made in a sub-set of the kitchens using a pump and filter.